The Nagaland Congress on Wednesday said the minimum income guarantee plan for the poor, promised by Congress president Rahul Gandhi on Monday, will ensure minimum level of income to every household below poverty line (BPL). Nagaland Pradesh Congress Committee (NPPC) also said the minimum income guarantee will help each of the BPL households in both urban or rural areas to raise their standard of living. NPCC president K. Therie, in a press release, on Tuesday said the promise made by the Congress president will leave a lasting impact on crores of Indians. 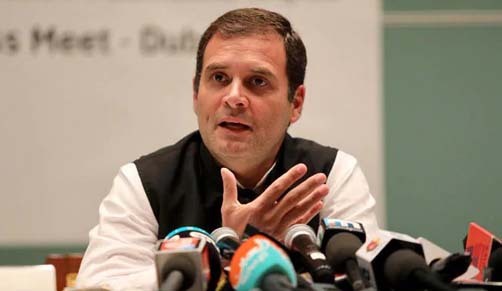 Therie lauded the vision of Rahul Gandhi and the Congress party for the nation’s poor as well as the anticipated revival of consumption-led growth the scheme will have on the nation’s economy. “The next generation social policy will eliminate extreme poverty and hunger both amongst rural and urban dwellers as it will fill the vacuum in urban areas left by MGNREGA,” Therie said. He said implementation of the minimum income guarantee will not only guarantee a basic standard of living to all citizens of the nation but also ensure that every household is able to afford food. Calling the BJP’s demonetisation policy an “anti-people scheme”, the Pradesh Congress said the commitment of the Congress party towards poverty eradication and redistribution of resources for inclusive growth has once again been reiterated in the backdrop of MGNREGA which has been acknowledged by the United Nations as one of the best poverty alleviation schemes globally. “Congress has done it in the past and given opportunity, Congress will do it again,” Therie said. Therie said the party has not only the vision and commitment to announce such a scheme but it has also the political will to implement the same by including the poor in the growth of the nation.